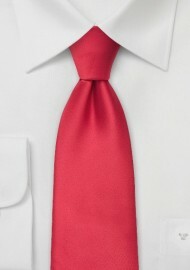 This bright red necktie is especially made for big and tall men. This tie has a total length (untied) of 62 inches and will suit men above 6 foot 3 inches as well as men with a larger neck size. Matching this tie to shirt and suit is easy. 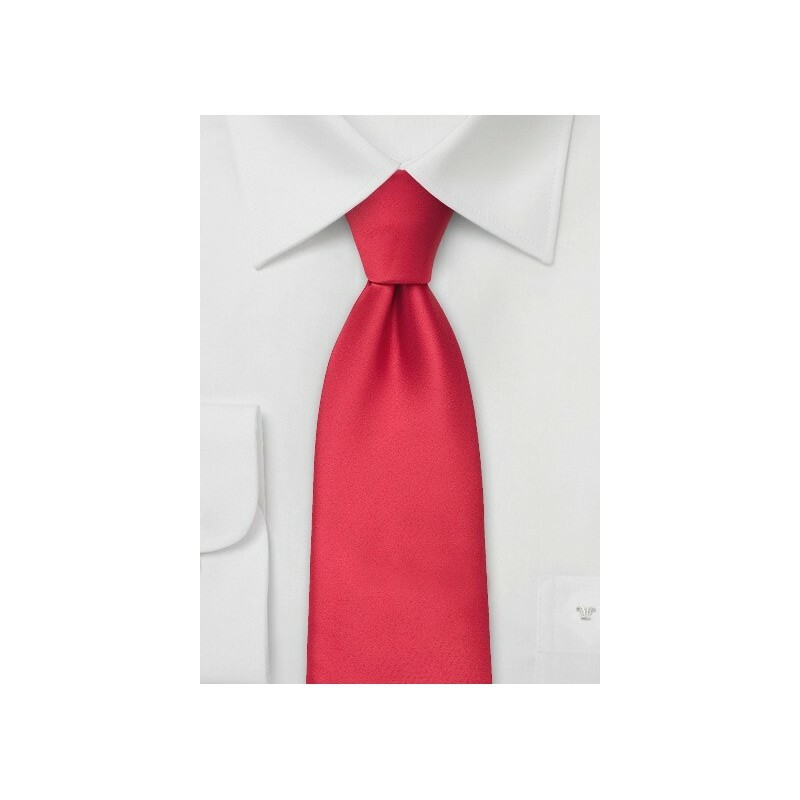 The solid color design of this tie will suit any shirt and suit pattern and the bright red color best compliments suits in gray, black, navy, and tan. Made by Puccini from care-free microfiber.